Ok, I will go ahead and admit it: I have a couple of addictions when it comes to my photography. The first is that whenever I am in a new place, I really enjoy wandering around in the back streets. It’s just fun and interesting, and you never know what you might find. The other addiction I am referring to is that I love to photograph doors. It doesn’t really matter if it’s a big door, small door, red door, blue door, old door or new door (hey I sound like Dr. Seuss!) – they usually catch my eye, assuming it has at least some interesting elements about it. The nice thing is that these two little addictions often go hand-in-hand. When I wander on back streets, I find cool doors. You gotta love when your addictions are complementary! 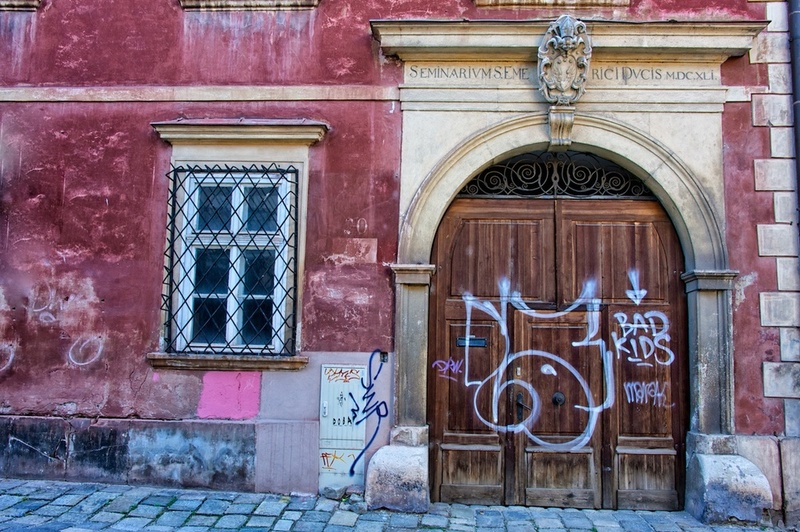 I found this door wandering on the back streets of Bratislava, Slovakia. Isn’t it cool?